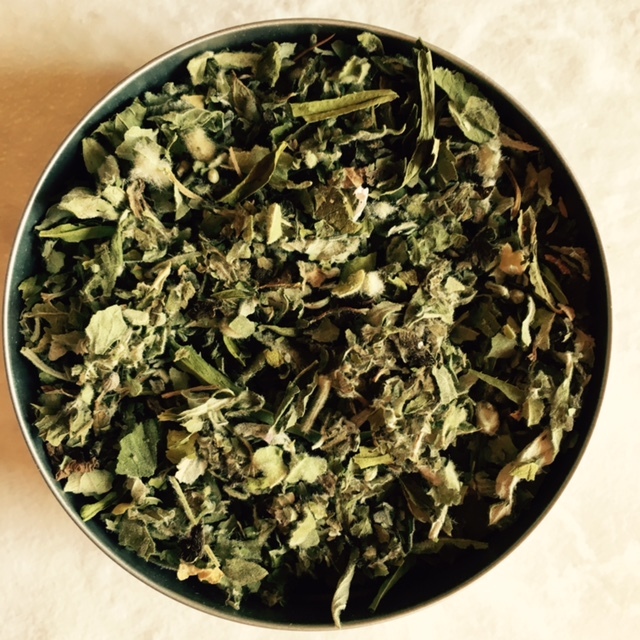 Our herbal smoking blends are handcrafted from herbs we grow on the farm. When we need to, we supplement with herbs from other farms in the mid-Atlantic. You can know that the herbs in our smoking blends are grown organically and with great care. They are harvested, dried, and processed by folks whose mission is to give love to the plants and to share love with the world via herbs. We craft our herbal smoking blends with deep intention. Our goal is to give you the most pleasant, spiritual, and delicious experience possible. Whether you smoke with a pipe, you roll your own herbal cigarettes, or you use a vaporizer, these herbal blends can complement your current routine or help you to craft a new ritual. 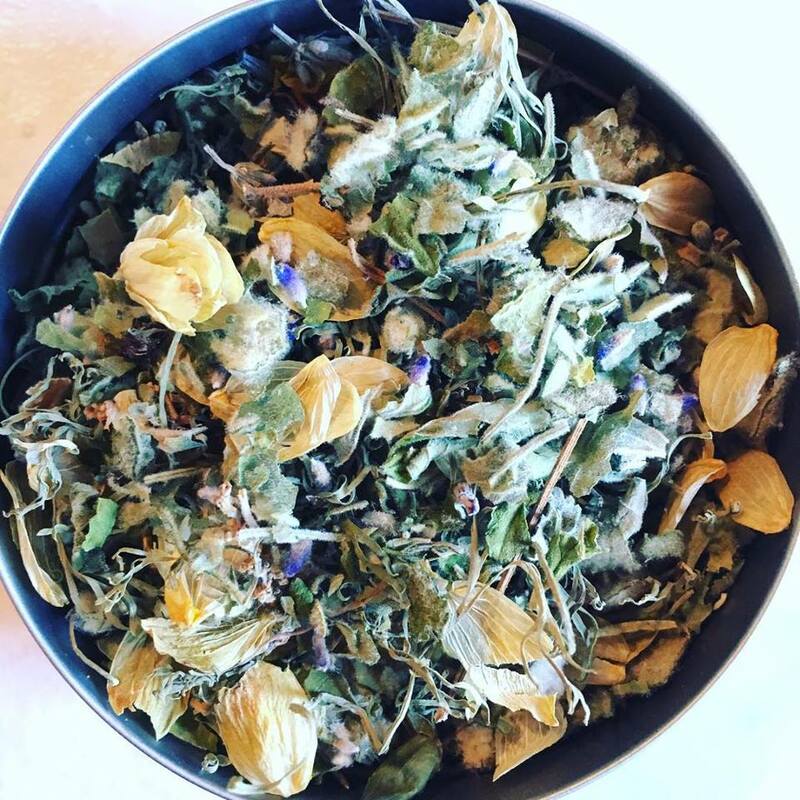 Our blends can also be used as teas, herbal bath blends, or burned for energetic purposes. SOOTHE is designed to infuse your entire being with a sense of calm. Mullein & marshmallow are soothing to the lungs and mucous membranes; lavender is calming while also bringing joy; hops helps to quiet cyclical thinking; California poppy eases anxiety and muscle tension, and catnip, again, will help you to feel more open and expansive. SOOTHE is delicate, bitter, and floral in both fragrance and flavor. I get a lot of questions about smoking: is it safe to smoke herbs? Which herbs can I smoke? How do I smoke herbs? Which pipe is best? Will smoking herbs get me high? 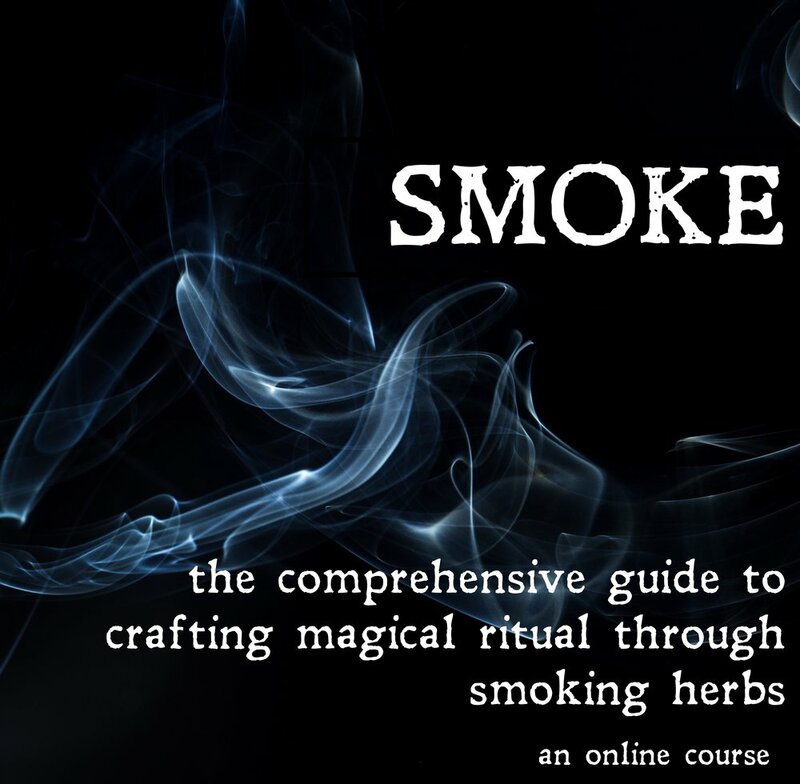 To answer all these questions (and because I really, really love smoking herbs), I’ve created a one-of a kind online course all about smoking herbs. Smoking is an ancient ritual, a powerful act that connects us with the spirit world, the plant world, and ourselves. Smoking herbs can bring magic, deliciousness, and transcendence into your life. But where to start? Maybe you already have a smoking routine, and you’d like to mix it up but you don’t know which herbs are safe to smoke. Or you want to smoke herbs, but you don’t even own a pipe. In this in-depth course, you will learn all aspects of smoking, from how to pack a pipe to which herbs you can smoke. When we smoke, we invite plants into our bodies in an immediate and intense way. When we smoke, we make ourselves vulnerable to the plants we inhale. It is an extremely intimate connection. The energy of this communion creates the conditions for all sorts of growth and expansion and transcendence. Because smoking is so powerful, it is important to use great care and specific intention. TRANSPORT will carry your spirit to greater connectivity. It is designed for use in ritual or sacred ceremony, whether that means taking a moment to be present in your day or sitting in sacred ceremony with others. TRANSPORT is an excellent complement to any meditative practice. Its flavor is herbal, grassy, sweet, and minty. Smoking herbs can be a beautiful addition to a ritual or ceremony. Smoking can help to get you in a meditative space or to bring participants into the same vibration. The herbs you choose will set the tone: are you doing an expansive, transcendent ritual, or are you seeking grounding? Do you want to draw participants into harmony, or support them through healing? Herbs are true helpers and supporters and are eager to be allies as we do spirit work. How do you know which plants to smoke?